Senco PC0051 0-160 psi Air Pressure Gauge. 2 inch Diameter Face. Back Mount, 1/4 inch MPT Fitting. 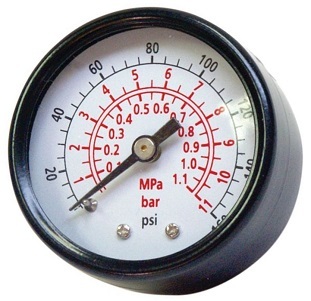 Popular Air Compressor Gauge. Price/Each.